We all want to create that holiday style that doesn’t come from a box and is as individual as we are. Styling for a traditional, contemporary, minimal…you name it…There is something for everyone. 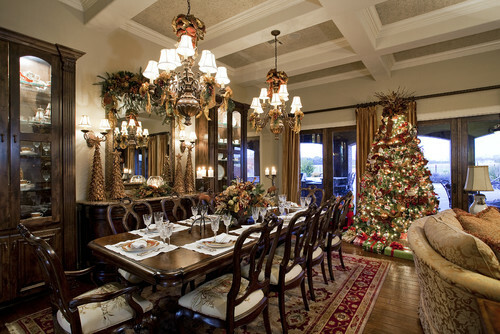 Many of us think of Christmas decor at the dining table as a formal and traditional affair. The time to bring out the good china and crystal glasses. Decorate with the deep red, deep greens and gold. A nostalgic glass up to good times past and present. I feel that this is a transitional dining experience. It is half way between traditional and modern thanks to the juxtaposition of the rich red and the fresh chartreuse green. 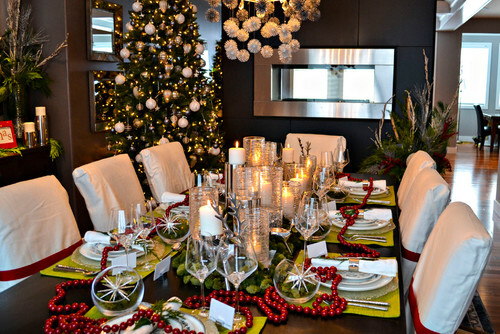 The crystal and silver accents give a winter wonderland feel at the centre of the table. The contemporary existing decor is lightly spiced with a few amber toned ornaments on the sideboard/ credenza. The table is kept simple and uncluttered with a few candles and warm textiles. 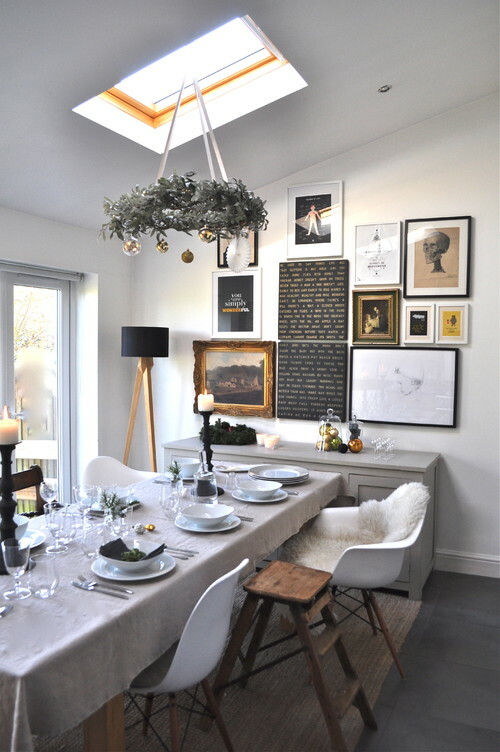 The main focal point is above the table, the hanging wreath is adorned with strategically placed ornaments. 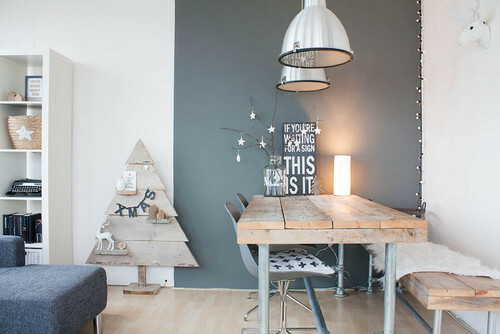 The Scandinavian influenced decor, sings in with simple and clean design. The blue-greys, silver and white colour scheme work well with the raw wood tones and the texture of the sheepskin. This festive decor embraces the crafter and artisan in all of us. Categories: Christmas, Dining | Tags: Christmas, decorating, dining room table, festive, holiday, Home, style | Permalink.